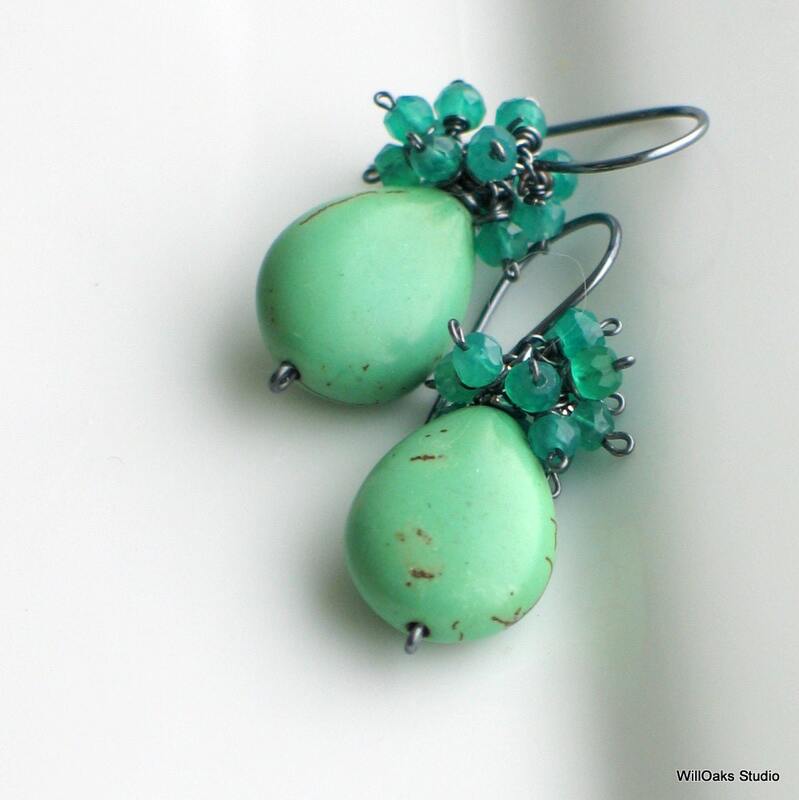 Elegant drop earrings in a medium teal turquoise and an emerald green wire wrapped cluster of onyx beads. 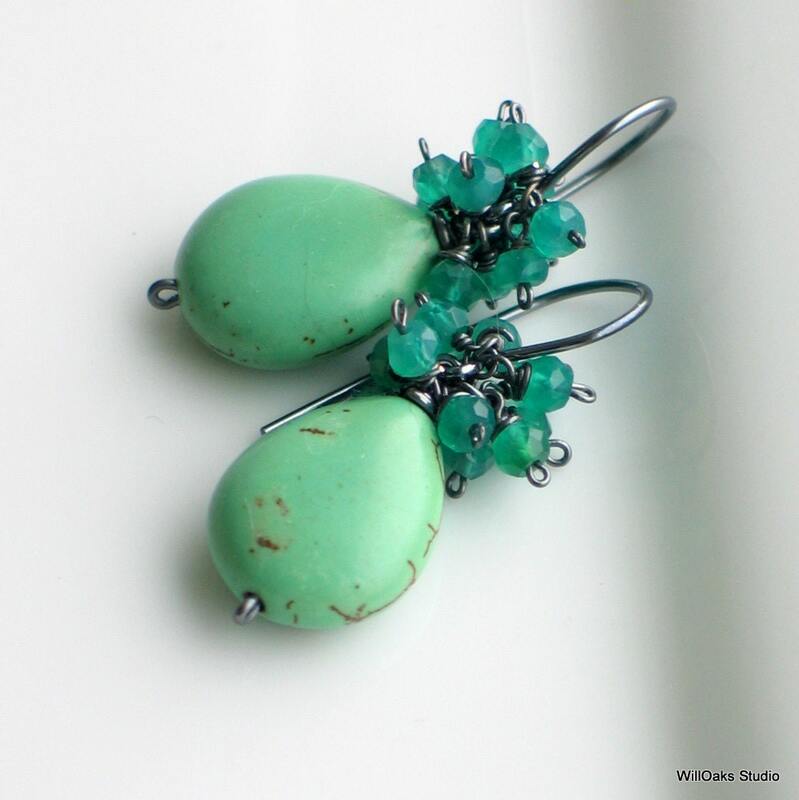 Dark oxidized sterling used to create these original earrings is a nice compliment to this teal medley, and these fresh dangle earrings will cross seasons and add a lovely pop of color. 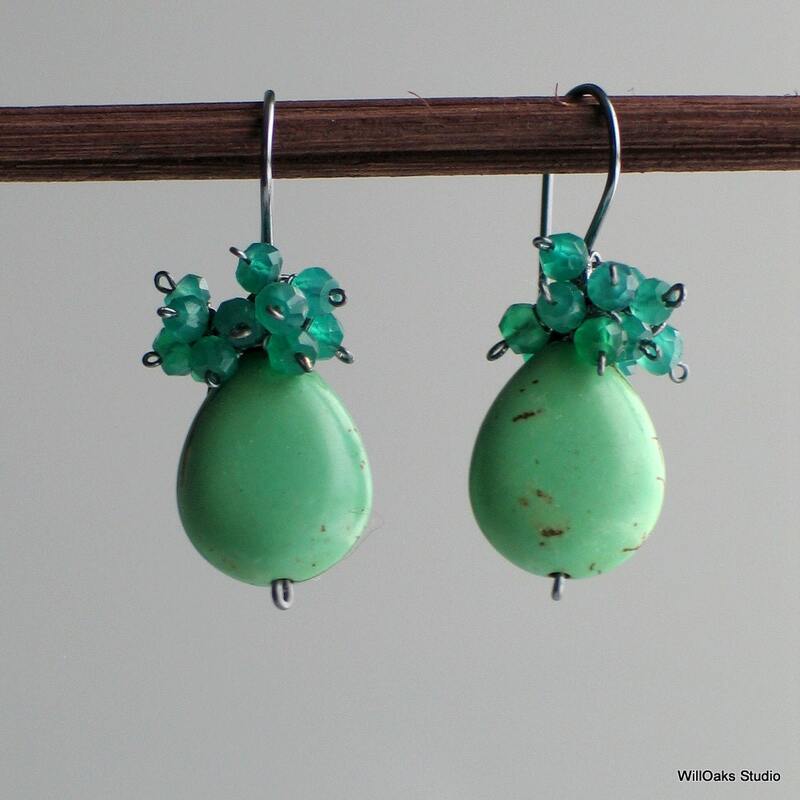 Hand formed sterling earwires are oxidized and tumbled for strength and shine. 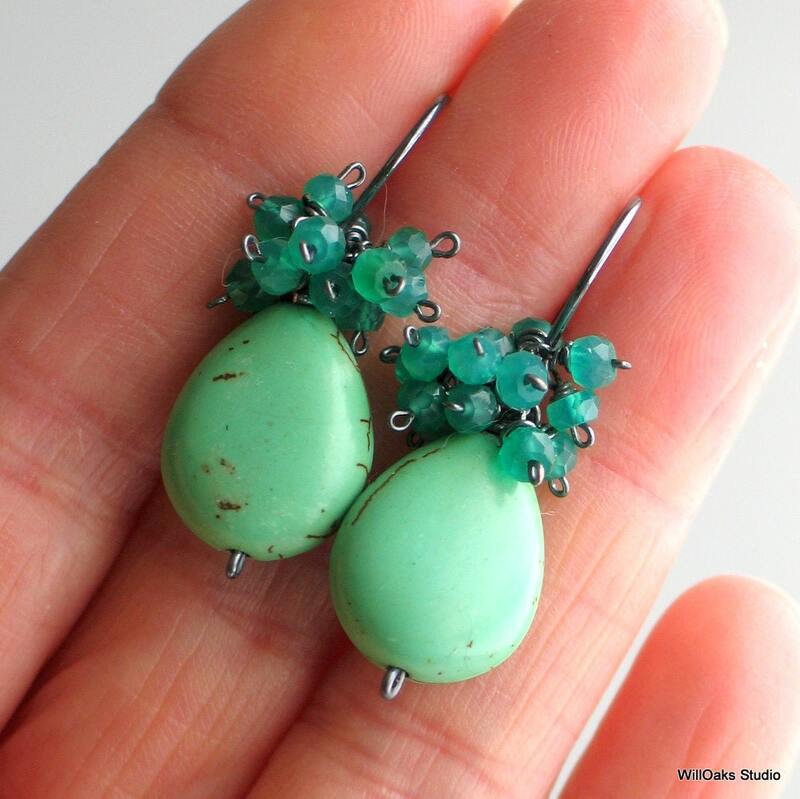 The teardrop shape is dyed chalk turquoise, and the total earring length is about 1 1/2" from the top of the ear wire. 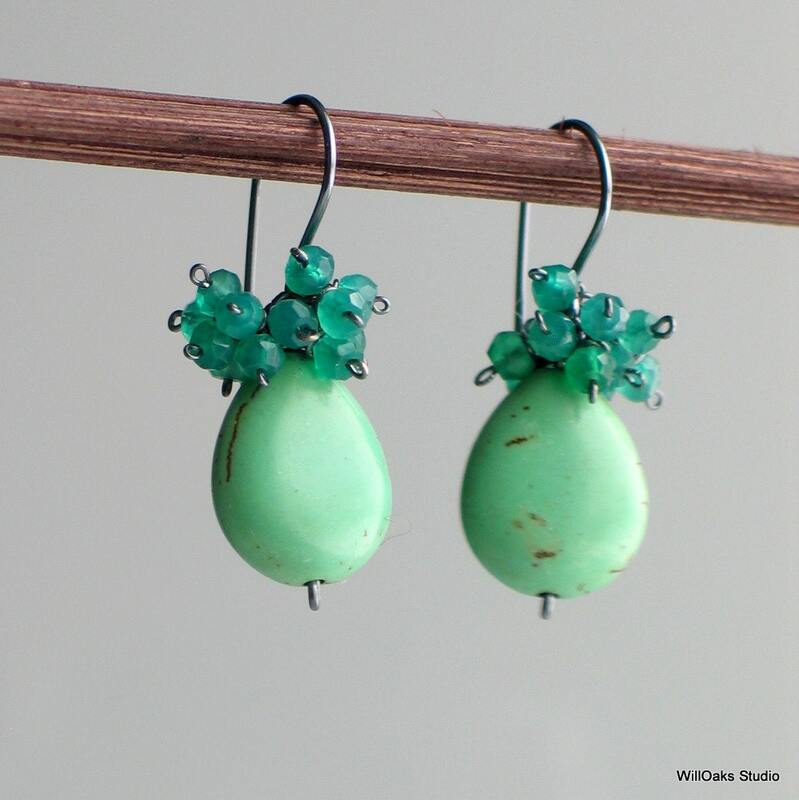 The jumble of green onyx stones are free to move around and rearrange somewhat as they sit on top of the wire wrapped teardrop stone, attached to the earwire.